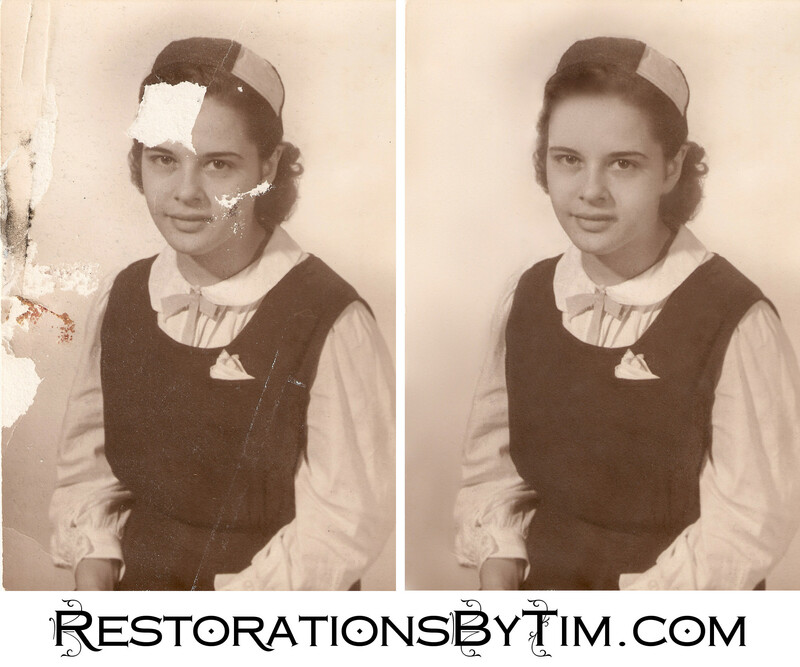 Major Restoration: Replacing missing parts | Photo Restorations by Tim G.
Here is one of my better efforts. I’m guessing is that this one got wet in a picture frame and stuck to the glass. If you have a photo stuck to glass, you’re better off leaving it stuck. Don’t try to peel it away. You can scan the photo while it’s still on the glass and send it my way for a quick clean-up. If however, you’ve got hold of a photo that’s had some portions peeled away, not all is lost. With some time and imagination, I can set it right. I’d quote this one in in the upper range: $60 for a major restoration.